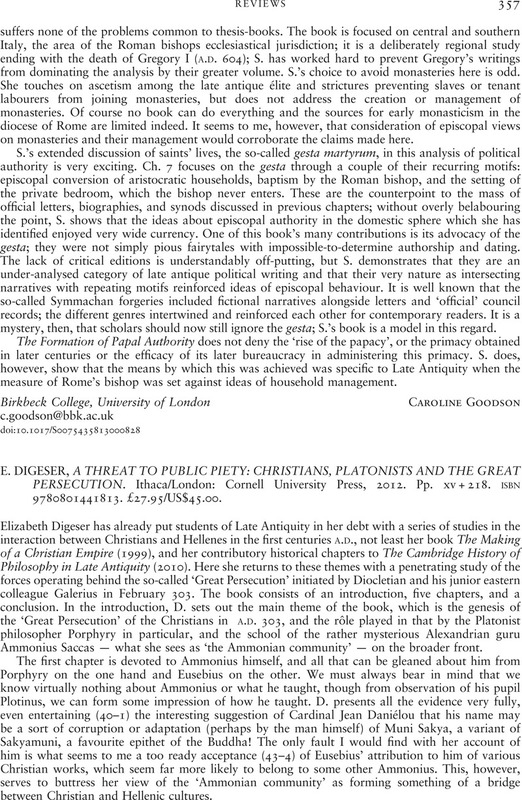 E. Digeser, A THREAT TO PUBLIC PIETY: CHRISTIANS, PLATONISTS AND THE GREAT PERSECUTION. Ithaca/London: Cornell University Press, 2012. Pp. xv + 218. isbn9780801441813. £27.95/US$45.00.